The restoration of the Illinois River floodplain is the focus of research by University of Illinois Springfield scientists in a newly published 200 page special issue of Hydrobiologia, the international journal of aquatic sciences. 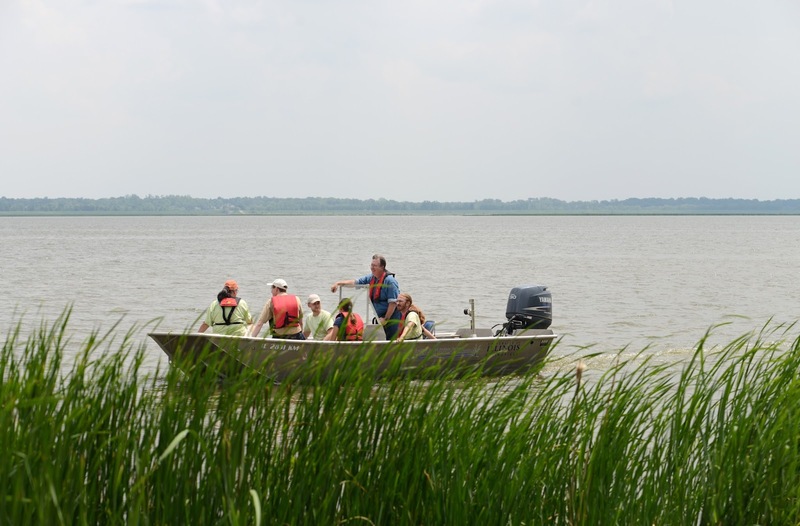 The restoration efforts are taking place at the Emiquon Preserve in Fulton County, Illinois. UIS Biology Professor Michael Lemke co-guest edited the journal and was lead author on two articles exploring “Diversity and succession of pelagic microorganism communities in a newly restored Illinois River floodplain lake” and “Echoes of a flood pulse: short-term effects of record flooding of the Illinois River on floodplain lakes under ecological restoration,” as well was co-author on three other articles. Both the microbe and flood articles were co-authored with Keenan Dungey, UIS associate professor of chemistry. UIS faculty members Hua Chen, associate professor of biology, and Amy McEuen, associate professor of biology, co-authored an article on “Carbon and nitrogen storage of a restored wetland at Illinois’ Emiquon Preserve: potential for carbon sequestration,” which was published in the special edition. UIS alumni Doyn Kellerhals, Michelle Randle and Sara Paver also contributed to the research. In the issue, the scientists review the changes to the Illinois River over the centuries, yet emphasis is on a period of restoration at Emiquon during the period of initial restoration efforts to the connection to the IL River, thus providing a unique perspective for describing river ecology restoration. The papers describe (1) how planktonic microorganisms, vegetation, fish, and waterbird communities responded rapidly to flooding of former shallow lakes and wetlands that had been drained and used for dryland agriculture for 83 years; (2) how variation of hydrologic conditions favors biotic community diversity and conditions for carbon sequestration; (3) how fish populations imposed a trophic cascade and affected diversity, yet may not help control some undesirable fish species; and (4) how simulation models are useful in planning, but that restoration practice and management decisions must adapt to present conditions, involve trade-offs, and are influenced by competing stakeholder interests. “Water level management remains the most important factor in the restoration ecology of floodplains; however, the establishment of a river–floodplain connection should be managed to achieve a balance between establishing hydrology that mimics natural flood pulses while minimizing contemporary threats, including excessive nutrient and sediment loads and invasive species,” said Lemke. Hydrobiologia, founded in 1948, publishes original research, reviews and opinions investigating the biology of freshwater and marine environments, including the impact of human activities. The entire special edition is available at https://link.springer.com/journal/10750/804/1/. IIP exoneree Charles Palmer walks free from the Macon Co. Jail on Nov. 23, 2016. The University of Illinois Springfield is pleased to announce that, with the support of the UIS Center for State Policy and Leadership, the Illinois Innocence Project (IIP) has been awarded federal grant funds totaling $641,000 to be distributed over two years. The grant will be used to clear Illinois innocence cases where DNA testing might decide the outcome of individuals who were found guilty as a result of an eyewitness misidentification or a false confession. The award is part of a United States Department of Justice Bloodsworth Grant, named in honor of Kirk Bloodsworth, the first DNA death penalty exoneration case in the United States in 1993. In 2014, the Illinois Legislature highlighted problems with eyewitness ID practices when it passed legislation mandating eyewitness ID best practices developed in response to wrongful convictions. The law is an implicit acknowledgement that such wrongful convictions have occurred. IIP has received many requests from inmates whose cases include eyewitness misidentification, largely as a consequence of old practices. IIP also continues to receive numerous inquiries in cases where individuals confessed falsely, but are innocent. “Illinois, particularly Chicago, is noted for the large number of cases in which police coerced false confessions, in many cases with torture, which led to wrongful convictions,” said Hanlon. The Project initially will focus on numerous cases it has screened in both areas in anticipation of receipt of this grant. The cases will be further reviewed to determine if the evidence can be tested or retested for DNA and if the likelihood is that the individual is actually innocent of the crime for which they were convicted. As part of the grant, the Illinois Innocence Project will hire several UIS undergraduate students to assist in the screening, review, and evaluation of the cases. The Survey Research Office at the University of Illinois Springfield has released the Fall 2017 Sangamon County Economic Outlook Survey. The study examines the economic perceptions, expectations, and evaluations of Sangamon County employers. The fall 2017 survey shows that expectations for the economy of Sangamon County have changed little since the fall of 2016, with about a third of respondents in each year expecting things to improve over the next 12 months. Expectations for employment have brightened some, with 32% of 2017 respondents saying they expect job increases compared to 27% in 2016. Two-thirds of respondents expect inflation and interest rates to rise, about the same as a year ago. Survey respondents’ expectations for their own firms/organizations are somewhat more optimistic than for the economy overall. More than half of those surveyed (55%) say they expect their sales/revenue to increase in the next 12 months. Likewise, 46% expect profitability to rise in the next year, and 50% think the overall status of their businesses/organizations will improve in the coming year. These percentages all show improvement compared to fall 2016, when 49% of respondents expected sales to go up, 45% looked for profitability to increase, and 43% believed the overall status of their firms would get better. Despite the resolution of Illinois’ budget impasse, the condition of state finances remains the top concern of local employers. Fifty-eight percent identify state government finances as one of the biggest challenges facing them in the next 12 months. Consistent with past surveys, responding employers also see consumer confidence (45%) and government regulations and taxation (40%) as significant challenges during the coming year. Nearly four in ten employers (39%) indicate that they sell goods and services online. A plurality of respondents (38%) say online competition has not affected their firm’s growth, while another 36% say the effect has been positive and the remaining 27% report a negative effect. The Sangamon County Economic Outlook Survey has been conducted biannually (spring and fall) since 2008. The results for fall 2017 are from 233 local organizations that were contacted in October via mail surveys and email invitations using Qualtrics Research Suite, a platform for online surveys. The Fall 2017 Sangamon County Economic Outlook Survey is sponsored by the UIS Chancellor’s Office, the UIS Center for State Policy and Leadership, and The Greater Springfield Chamber of Commerce. For more information on the methodology and the full report, please visit the UIS Survey Research Office website at www.uis.edu/surveyresearchoffice. Questions about the survey may be directed to David Racine, acting director of the UIS Survey Research Office, at 217/206-7956 or draci2@uis.edu. The University of Illinois Springfield recognized scholarship donors during the 21st annual Scholarship Luncheon on November 8, 2017. Nearly 250 people participated in the luncheon. 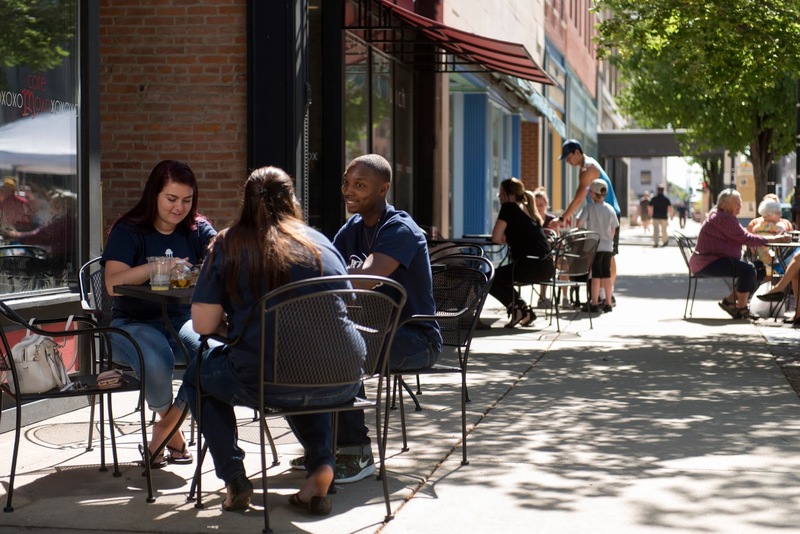 “It’s an opportunity for them to get to know each other and really just reminisce about how these experiences provide for a greater future for all of our students,” said Jeff Lorber, UIS vice chancellor for advancement. One of the donors in attendance was Nancy Simpson, who started the Bill and Nancy Simpson Athletic Scholarship in honor of her late husband. “We just wanted to support the university and the students and it seemed like the athletic program was just getting off to a good start and we thought we’d be part of it,” she said. Much like Simpson, Tom Marantz, CEO of the Bank of Springfield, and his wife Nancy started the Jack Marantz Scholarship Fund for athletics in memory of his father. Tyrone Pernell, a Management Information Systems major at UIS, says scholarship have made it possible for him to obtain an education. “Scholarships have helped me get through school a little faster, it’s helping me not have to worry about paying back tuition, it’s helping me become a better person,” he said. “I just feel like it’s a good opportunity for people to say thank you and show gratitude and everything,” said Melissa Van, a business administration major. UIS recently kicked off the “Reaching Stellar: The Campaign for the University of Illinois Springfield.” One of the top goals of the $40 million campaign is to raise money for scholarships. 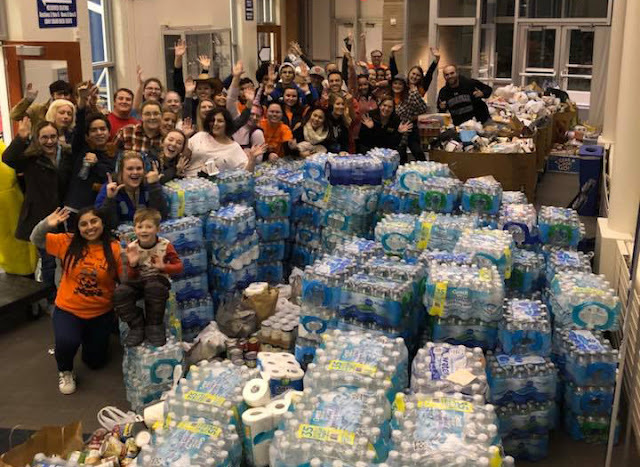 University of Illinois Springfield students helped to collect a record 28,946 pounds of food for the Central Illinois Foodbank on Halloween night. The total breaks a previous Trick-or-Treat for Canned Goods record of 14,085 pounds of food collected in 2016. A total of 17 teams, consisting of 284 students, went door-to-door in several Springfield and Chatham neighborhoods collecting the canned goods. Over the past week, the teams canvassed the neighborhoods and distributed door hangers that explained the project. Collected items were returned and weighed on campus. Prizes were awarded to the teams that collected the most food. Students in the Leadership for Life Service Program collected 6,152 pounds of food in the Country Club Estates and Deerfield subdivisions on Springfield’s west side. The Legion of Ladies student organization collected 6,000 pounds of food in Chatham’s Breckenridge subdivision. For a second year, the UIS Cox Children’s Center participated in the fun by having the children in costume Trick-or-Treat for Canned Goods at on campus departments. The children collected 663 pounds of food. The Central Illinois Foodbank distributes over 9.4 million pounds of food annually to over 150 food pantries, soup kitchens, residential programs and after-school programs in a 21 county region.